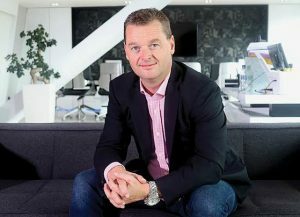 Cloud and colocation business UKFast is to double the size of its Manchester headquarters after clinching a multi-million-pound deal. The company has secured a further 40,000 sq ft space adjacent to its current campus in Manchester Science Park after buying a neighbouring building off Laing O’Rourke. CEO Lawrence Jones MBE said: "Moving to our current location was a game-changer for us. It was a bold move but the team here have never been happier, so it has worked out brilliantly. We’re right on the edge of the city and it gives us the added benefit of car parking and room to not only grow but to create an events area that is now proving an enormous benefit to our clients. The UKFast Campus currently houses a fully equipped gym, steam room, bar and networking area, an auditorium for up to 300 event attendees and a second-floor Japanese spa garden. It houses more than 300 employees but the new deal means it could accommodate a further 500. UKFast has reported double-digit organic growth every year since its inception and added more than £10m in recurring revenue in the last two years. Earlier this year the firm announced a £40m fund from the Royal Bank of Scotland to build on its organic growth, which helped it to acquire security specialists Pentest in June. Jones says: "UKFast is growing faster than ever. It took us 10 years to get to £4m and only another seven years to reach £40m. In spite of Brexit and currency challenges, we just had our best quarter yet winning of our three biggest customers. I am very excited about the future and the building immediately gives us a home for some of the other embryonic UKFast non-core businesses we are currently developing." Chartered surveyors OBI Property advised UKFast on the deal.